An aid to decant your wine with no mess complete with a filter to separate out any sediment that has precipitated out of the wine. 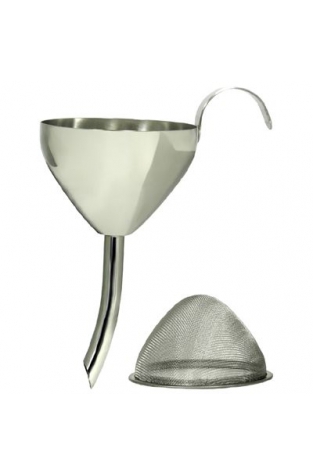 A decanter funnel with filter is an essential wine accessory for those who like to drink more mature wines that have thrown a deposit. 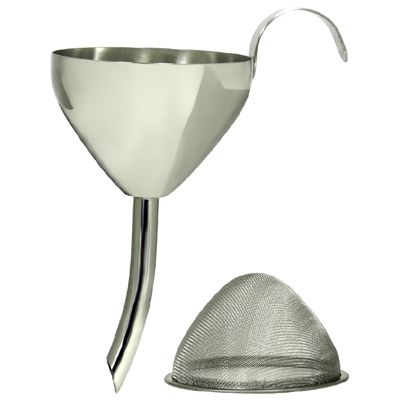 Made from stainless steel with a domed filter to catch the sediment from your wine, this decanting funnel's clever design causes the wine to flow around the inside of the decanter neck oxygenating and bringing about the fullest flavours of the wine.